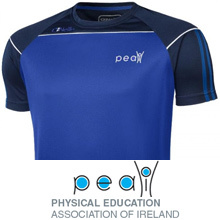 The 5th annual edition of PE Xpo in association with the Physical Education Association of Ireland (PEAI) and Dublin City University (DCU) took place on Wednesday March 6th. The 2019 PE Xpo was the biggest in the short but growing history of the event. There were 205 projects entered and presented from 52 schools across the country with over 25 small sponsors of the event. 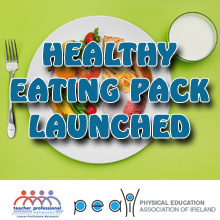 The 2019 edition of the event also saw the introduction of two new categories, Leaving Certificate PE (LCPE) and Senior Cycle PE (SCPE), to reflect introduction of the two newest curricula in Irish education. This years PE Xpo also saw the first Primary School competition and also had students and members of the public pay a small entry fee to view projects and interact with the students that had entered the competition. There were 24 winning projects across the nine different categories at junior and senior level. The overall junior winning project was titled Interactive First Aid Kit by Robert and Sean Brennan from Coláiste Mhuire, Mullingar. Aisling Flood, Tara Hegarty and Nadine O’Brien from St. Bricin’s College, Belturbet, Co. Cavan who won the overall senior prize with a project that investigated the Perceptions of Body Image and Emotional Wellbeing. The 6th year of PE Xpo promises to grow even further and will take place on Wednesday March 4th 2020. The PE Xpo Committee, in collaboration with the PEAI, are open to sourcing further funding which would be used to expand and grow the event in 2020. The PE Xpo event supports teaching and learning in and out of PE lessons and is also ideally placed to promote the entry of projects from Phase 1 schools in LCPE and SCPE categories, areas which are certain to going to grow over the next few years. The 2020 PE Xpo will also aim to use the event as an opportunity for teachers to engage in CPD training as there were over 50 teachers present at this year’s event.